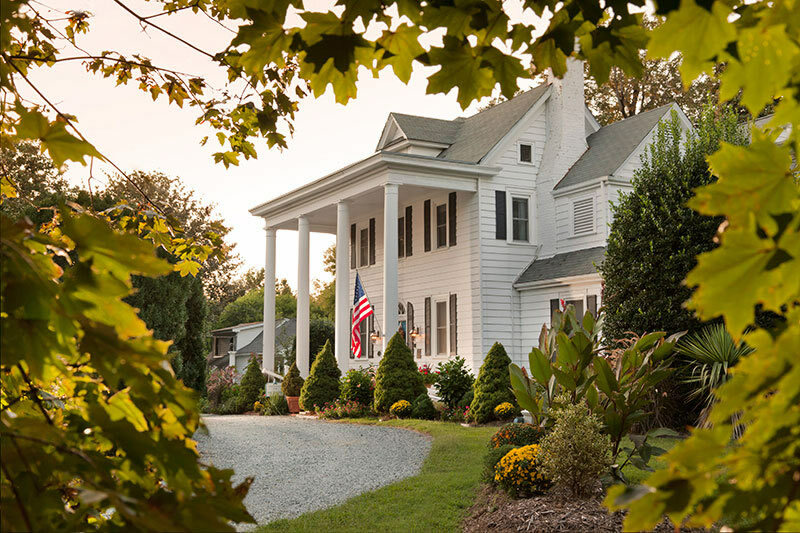 The Arrowhead Inn is a romantic Durham bed and breakfast in a restored 18th-century plantation located on six acres of lush gardens and lawns. 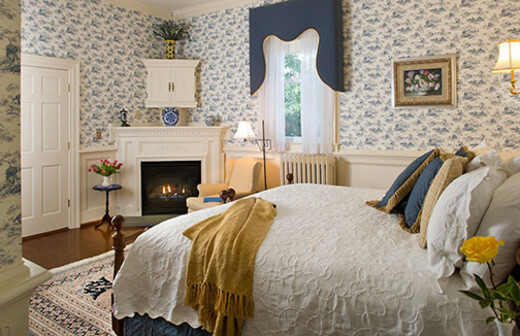 There are seven spacious guestrooms in the historic manor house along with a separate English Garden Cottage and Carolina Log Cabin. 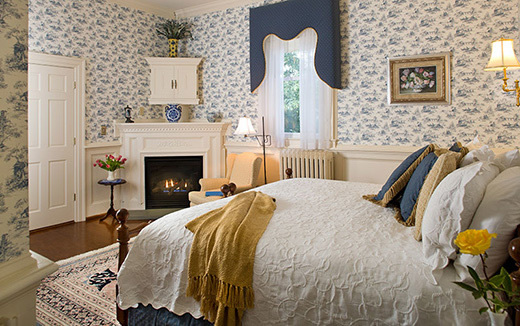 The inn boasts private whirlpools, tranquil grounds, gourmet breakfasts, and a private Chef who can provide a candlelit dinner in room or in the private dining room. Make all your dreams come true with a romantic wedding ceremony and reception at Arrowhead Inn Bed & Breakfast! 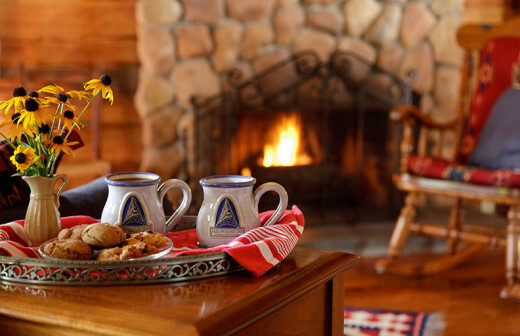 See Arrowhead Inn's Specials Page for all promotions and deals! Description: Celebrate your special day at the Arrowhead Inn Bed & Breakfast, offering a unique setting for your wedding ceremony and/or reception. Whether an intimate fireside ceremony or a romantic garden event, the Arrowhead Inn is a location for making memories, offering elegance & style, which allows family & friends to gather in a relaxed atmosphere. The ideal size for events held at the Arrowhead Inn range from 5-30 people. Should you choose our inn for your reception, our innkeeper/chef and staff will help you plan a wedding feast that will delight you and your guests. Our menus are created with your tastes in mind using the freshest and best of the season. Arrowhead Inn Bed & Breakfast can host up to 20 guests overnight. Inquire about packages.